Rising sea-levels linked to global warming could pose a significant threat to the effectiveness of the world's peatland areas as carbon sinks, a new study has shown. 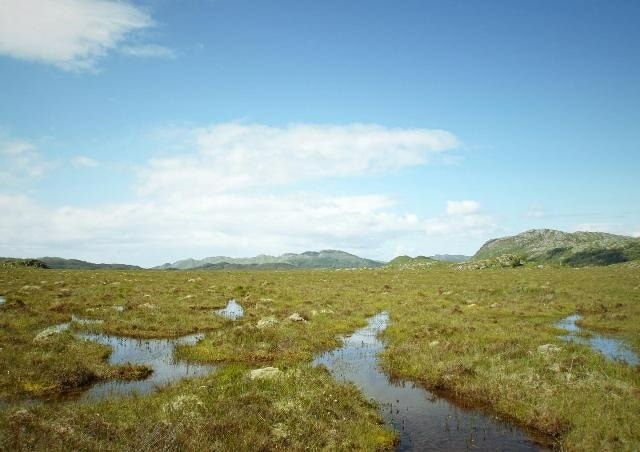 The researchers studied an area of blanket bog - a peat bog that forms in cool regions susceptible to high rainfall - at Kentra Moss, in Northwest Scotland. Dr Angela Gallego-Sala, co-author of the paper and a Senior Lecturer in Physical Geography at Exeter said: "Peatland areas play a crucial role in taking carbon from our atmosphere and storing it". "We know that rising sea levels through global warming can have catastrophic effects on many areas across the globe, and this study shows just how vulnerable some peatland areas are to the same phenomenon. "The effects of global warming are already being observed, but the longer we wait to act, the quicker changes to our environment, which would have a devastating impact on many regions around the world, will take place." Rain-fed peatlands are recognised as being a globally important environmental resource because they absorb and store carbon. Alex Whittle, author of the paper and now a research student in the Department of Geography said: "This study highlights the global scale and geographical distribution of peatlands potentially vulnerable to sea-level change. We hope our work will increase awareness of this risk and thereby stimulate future research on this topic". Dr Gallego-Sala added: "What started out as an undergraduate project has led to a ground-breaking new study, and produced some startling results. Peatland areas are vital for our ecosystems and hopefully this study will help give us a greater understanding of the threats that they are facing in the future."